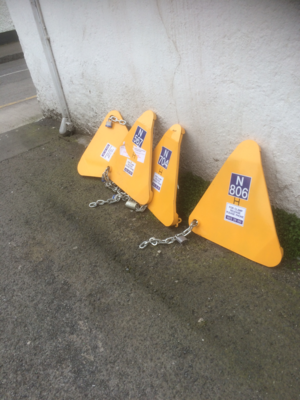 Some clamps resting peacefully against a wall at South Lotts Road [Ringsend, Dublin 4]. Adjacent traffic island is subject of parking dispute between clampers and residents. Posted in Misc and tagged clamps at 6:16 pm on April 18, 2016 by Broadsheet. So…what’s there to dispute exactly? I take it that these people know they’re still going to get fined, right? There’s sometime ambiguity over whether the footpath actually belongs to the council. Same thing happened on Percy Place a few years ago. who is claiming ownership of the footpath? In Percy Place I believe the argument was that it belonged to the apartment block next door. In this post I’m guessing it might be part of the building Lotts&Co lease. I don’t know the structure of a wheel clamp. Never looked at one to be honest. On evidence in the picture I suspect that someone living around there has access to a bolt-cutter. 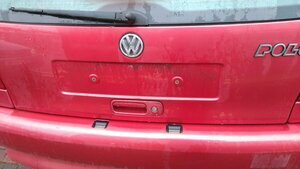 All clampers are bar-stewards, regular commenters excepted. 100% Dublin city council clamps check the phone number on them. 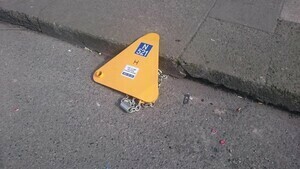 From what I’ve heard the problem with removing the clamps they put on, is that you still have an outstanding fine with the council. As you would have an outstanding fine, they will simply tow and impound the vehicle if they find it parked on a Public road managed by Dublin city parking services. They aren’t like NCPS who have a policy of taking no action, once you don’t abuse there staff or damage the clamp in front of there staff. 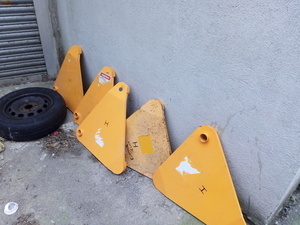 The big question is – is the collective noun for wheel clamps a Toblerone or a Dairylea?